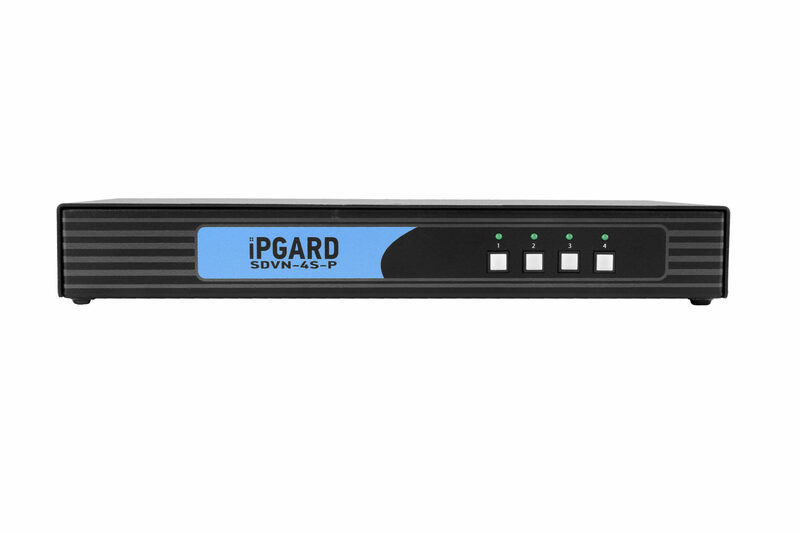 Secure 4-port, dual-link DVI-I KVM switch with dedicated CAC port & 4K support. 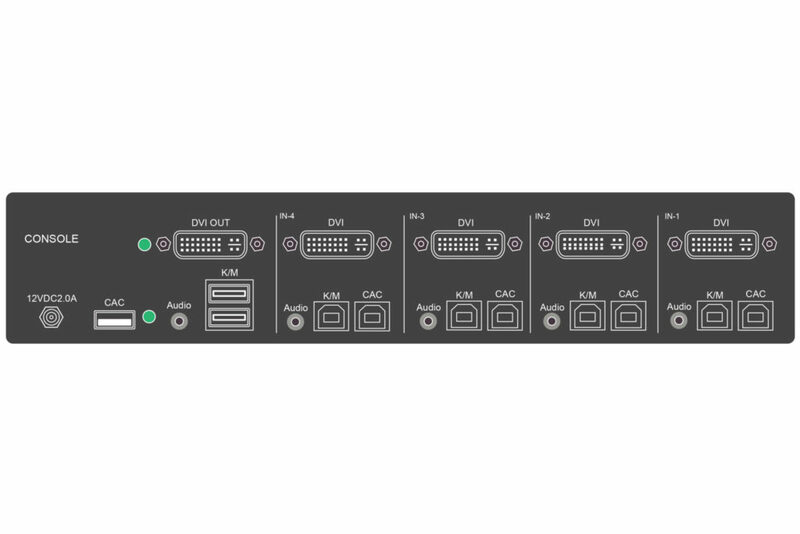 The SDVN-4S-P is a 4-port, single-head dual-link DVI-I KVM switch with a dedicated CAC port and support for 4K (3840×2160 @ 30Hz) resolution video via an adaptor. 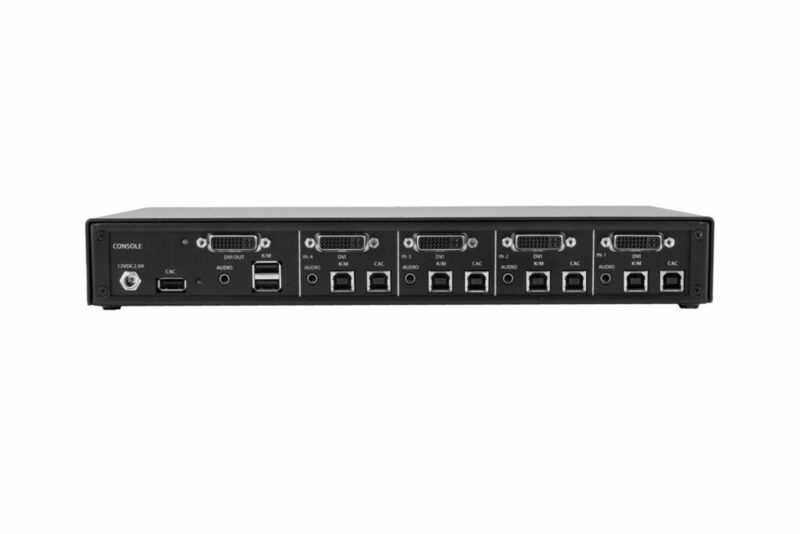 The SDVN-4S-P allows users to control KVM (Keyboard, Video and Mouse) operation on up to four computers with DVI, HDMI or VGA displays. It features mechanical, electrical and optical signal isolation to prevent hacking and data leakage in environments where security is paramount. With the SDVN-4S-P, all data relays are controlled by inverted signals, shielding connections from outside intrusion by forcing them each to work one at a time. Each port uses its own isolated data channel and each unit features non-reprogrammable ROM to better protect the switch’s functions. Better yet, the SDVN-4S-P offers the highest security when accessing classified and public networks over the internet through these isolated connections. 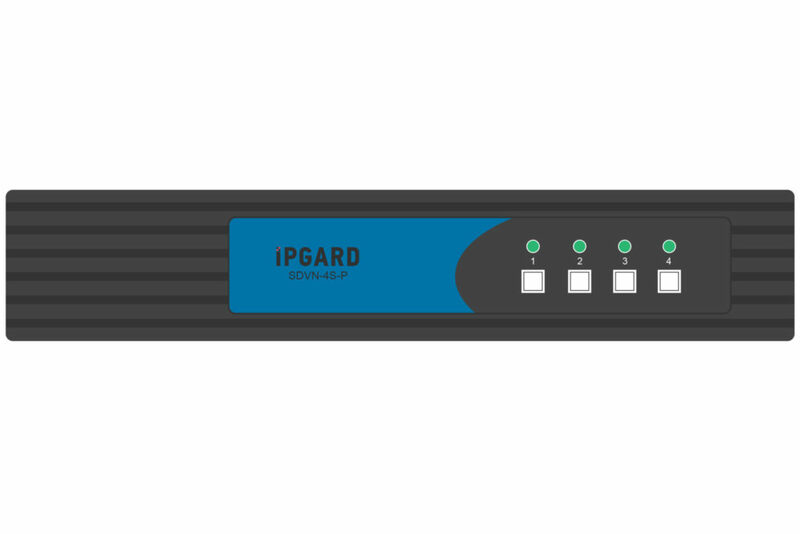 By isolating connections between networks, the SDVN-4S-P ensures no data is leaked between secure ports and the outside world. The SDVN-4S-P has clearly marked front-panel buttons for controlling the device, so securely switching between sources is always simple. For high-grade secure switching made easy, look no further than the SDVN-4S-P. Many secure KVM switches support CAC devices, such as smart-card and biometric readers, bolstering security when using the device. 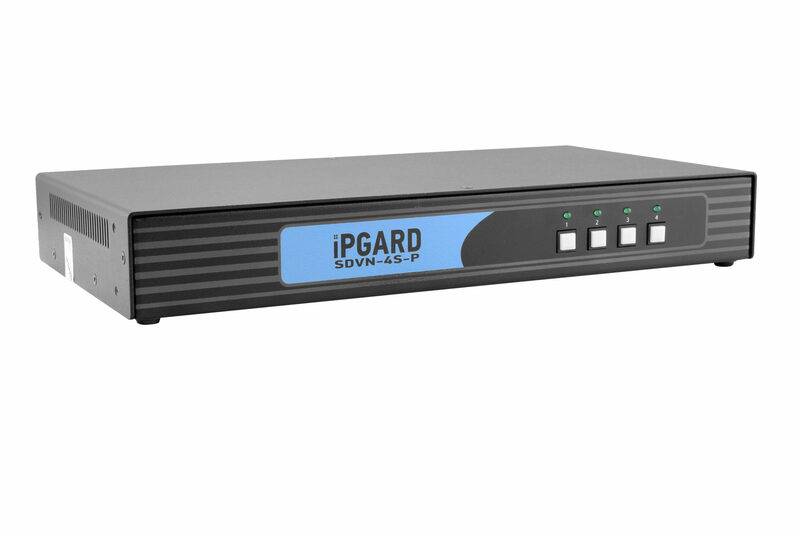 However, IPGard takes CAC security even further, allowing users to assign specific peripheral devices to the SDVN-4S-P’s CAC port. Once a peripheral device has been registered by an authenticated admin, users can then switch the connection between that device and the PC’s along with KVM switching. The SDVN-4S-P simulates a generic EDID as default, allowing it to operate most of the connected monitors. Both selected and non-selected computers maintain a constant connection with the unit’s video emulation controllers, allowing for ultra-fast switching and restricting discovery of newly connected monitors during switching operations. Upon activating the KVM, the unit will quickly and automatically learn new EDID for specific monitors. The unit then prevents unwanted and unsecure data from getting transmitted through DDC lines by means of secure EDID learning and emulation.